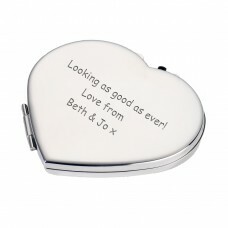 Silverplated heart shaped handbag mirror, regular and magnifying mirrors with click close feature. Supplied in a black velvet pouch. 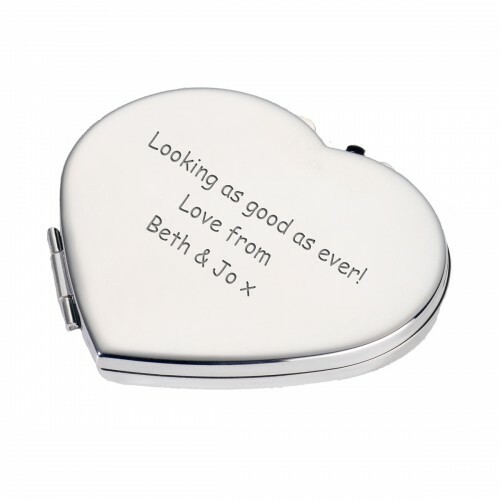 This item is perfect for engraving with a message of your choice.Engraving character limit80 Layout ChoiceSend your text/texts or pictures by e-mail to order@thankumum.com. Please specify the order number.